The Law Faculty of the University of Amsterdam is located at the Oudemanhuispoort, in the city center of Amsterdam. The past four months, I cycled to the train station from my house in Maarssen and took the train (and metro) to the city center Amsterdam. I really like the charming atmosphere in Amsterdam, especially in this part of the city, with many historical buildings. It was so nice to walk every morning next to the canals to go to work. The Oudemanhuispoort (a covered passageway from the Kloveniersvoorburgwal to the Oudezijdsachterburgwal) dates from approximately 1601. 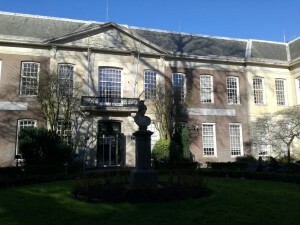 Since 1880, the University of Amsterdam is located here (but unfortunately the Law Faculty will move to another location – Roeterseiland Campus – after the summer break). 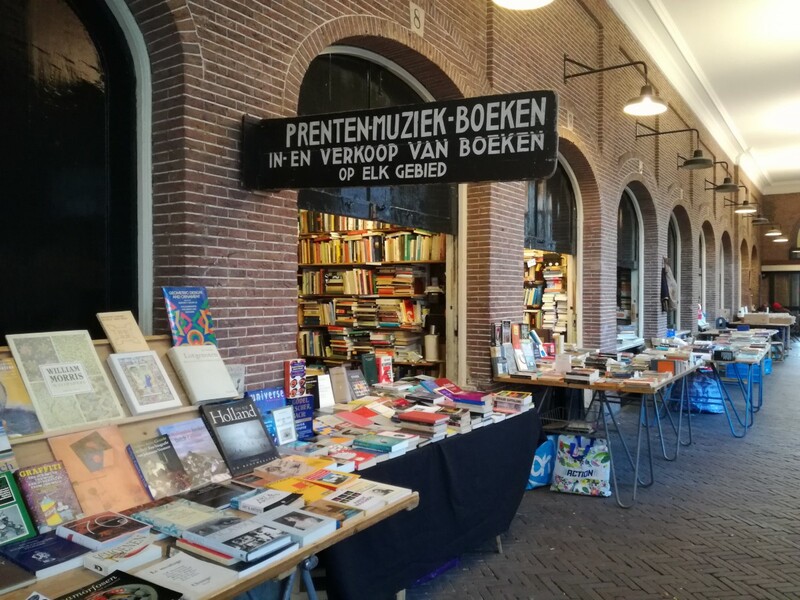 In the public part of the Oudemanhuispoort, there is a daily book market. In between my lectures, I often went there (yes, I am a booklover :-)) to search for old, rare, second hand and out-of-print books. If you are in Amsterdam for some reason, this market is worth visiting! But that only on a side-note. 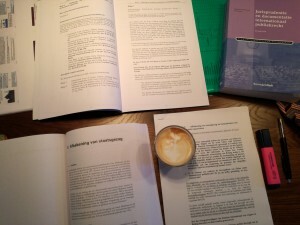 The course ‘International Public Law’, (or ‘Internationaal Publiekrecht’) is a second year 9 ECTS course in the bachelor programme of Law Students at the University of Amsterdam. We had more than 450 students who registered for the course. The object of the course was to provide a broad overview of public international law. We provided the students first with the general doctrines of public international law, including international legal personality, the sources of international law, international liability rules on conflict resolution (including arbitration and law) and also how international law affect the national legal system. Furthermore, the headlines of the major substantive areas of law were studied, including the protection of individuals, peace and security and regulation of the economy and sustainable development. The prescribed literature that we used during class was the book of prof. dr. André Nollkaemper entitled ‘Kern van het Internationaal Publiekrecht’, as well as the jurisprudence book edited by mr. dr. Catherine Brölmann, who gave most lectures during this course. During the lectures, the course material was further explained and clarified, often on the basis of current examples. Guest lectures were provided by prof. dr. André Nollkaemper, prof. dr. Yvonne Donders and prof. dr. Pieter Jan Kuijper. All lectures were recorded and available on Blackboard. Apart from the weekly lectures, there were also working groups for students who opted for the ‘intensive’ form of education. The course coordinator was dr. Antoinette Hildering, who also gave working groups. The other working groups were given by dr. Olivier Ribbelink, mr. Tim Staal, mr. Kirsten van Loo and me. During these working groups, we offered students the opportunity to study the course materials extensively, based on the Workbook Intensive Education International Public Law 2016-2017. Students were expected to have prepared the cases and questions at home, and during the two-hour working group we discussed the questions and case. Students who opted for the ‘non-intensive’ form of education had the opportunity to follow an ‘overview lecture’ given by dr. Olivier Ribbelink, every Monday morning, instead of the working groups. During these lectures, Olivier provided the main features of the theme discussed during that week, but no answers were given to the questions posed in the Workbook Intensive Education. 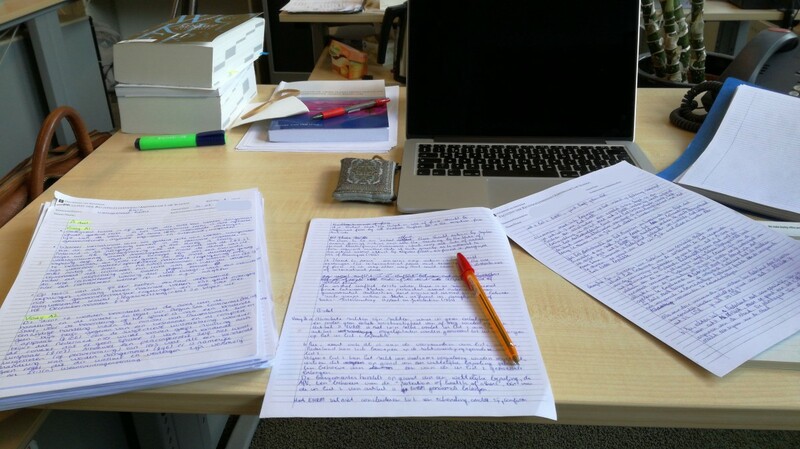 Last week my colleagues and I were marking the exams. Next week we’ll finish this job, and I am very happy that my students did very well!